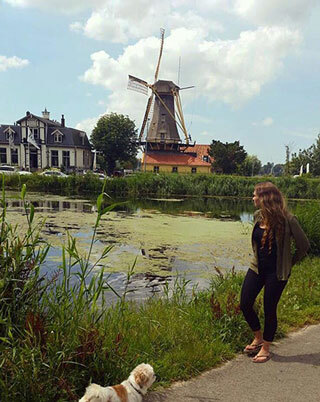 “Employers and graduate schools understand and appreciate the value of a study abroad experience and the skills that students learn during their time abroad,” she said. According to a study by IES Abroad, 97% of study abroad students find employment within 12 months of graduation, their starting salaries average 25% higher than students who have not studied abroad and 90% of study abroad alumni report getting into their first or second-choice graduate school. Sinclair said the USM Office of International Programs can assist students in locating a short-term travel program or study abroad opportunity that works with their major, the amount of time they have to spend abroad and their budget. Options can include shorter faculty-led trips, where students can earn 3-6 credits over winter or spring breaks, such as the brand-new Global Communication/International Media course in Paris, where students will participate in immersive international study with experts in the fields of journalism, diplomacy, marketing, public relations and photojournalism. 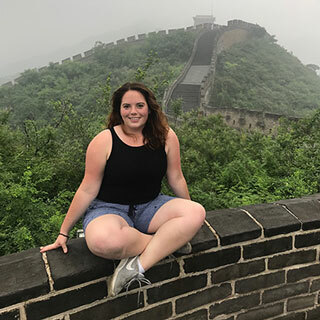 In the upcoming Summer Travel in China course, students will take Chinese language classes, enjoy cultural experiences and such as Chinese calligraphy and tea art, and explore iconic landmarks such as the Great Wall of China. "The summer China trip with the Confucius Institute provides students with a rare opportunity to experience China with all expenses paid except air travel and a full scholarship for 3 credits. More importantly, it acquaints students with the most consequential rising country in the 21st century,” said Joseph W. McDonnell, professor, Public Policy and Management from the Muskie School of Public Service. “It was a mind-opening experience for the 20 USM students that journeyed to China last summer," McDonnell said. Students can also take a semester abroad, with reciprocal exchange programs at universities in a wide range of countries from Iceland to South Korea, where they pay USM in-state tuition and fees. There are also programs available through approved study abroad providers, and more. Sinclair said her office always encourages students to explore these options and not just assume the programs will be cost-prohibitive; scholarship information can be found on the office’s website. 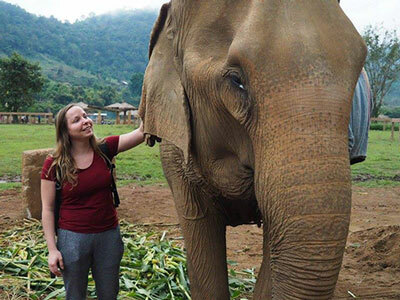 Sinclair encourages students to stop by her office at Payson Smith Hall on the Portland Campus, or visit the USM Office of International Programs website to learn what possibilities exist and how they can help students make their study abroad dream a reality.